The album kicks off with "Armageddon" which is quite synth heavy in the opening moments before the guitars kick in. The vocals are clear and smooth and the song has a very polished commercial feel to it, but for me it feels a little bland and lacking anything to make it really stand out. "Fallen" is an improvement, with a bit more power, but its still got a bland, over-produced feel to it that's removed the raw edges that would otherwise have made the song more interesting. To be honest the whole album suffers from this problem - its pleasant enough, but it's just too bland and over-produced to appeal to me. Very disappointing. I'm surprised that the band don't have a full time keyboard player in the band given how reliant their sound is on synthesiser/keyboards/effects - I really can't imagine them sounding like this live unless they have a huge reliance on a laptop to play most of the sounds in which case I wouldn't be impressed. 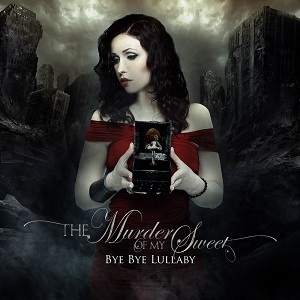 "Bye Bye Lullaby" will be released on 25th May via AFM records.